If you like the superhero genre then be sure to take a look at the latest slot release form Yggdrasil Gaming, Super Heroes. It is a 5 reel, 20 fixed payline slot with the reels set against a view of a city. 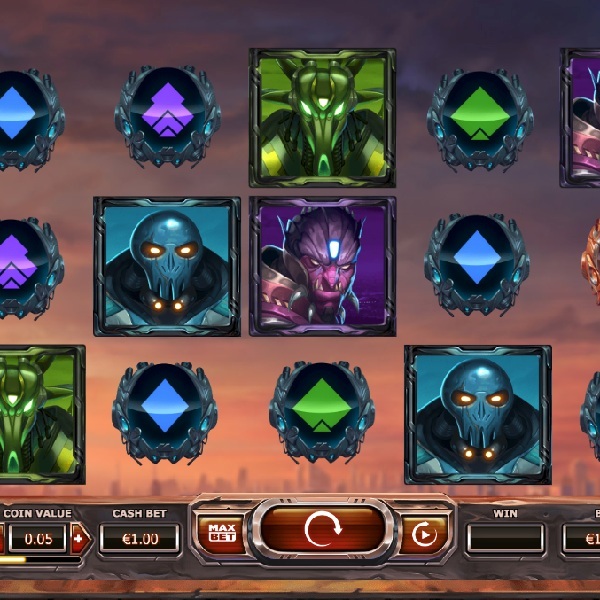 On the reels are four different coloured bad guys: brown, purple, green and blue as well as a big ‘Wild’ symbol and a ‘Free Spins’ scatter symbol. At any point while playing the Super Hero feature may be triggered and you will be awarded a random bonus such as a cash payout, wild reels, wild symbol, guaranteed payouts, free spins and multipliers. There is also a free spins game triggered by the scatter symbol where you can win up to 7 free spins and on each spin the Super Hero feature is guaranteed to be activated.